As this week’s focus is Earth Day, I’ve been reading many kids’ books where trees (and nature) are the focal point of the story. 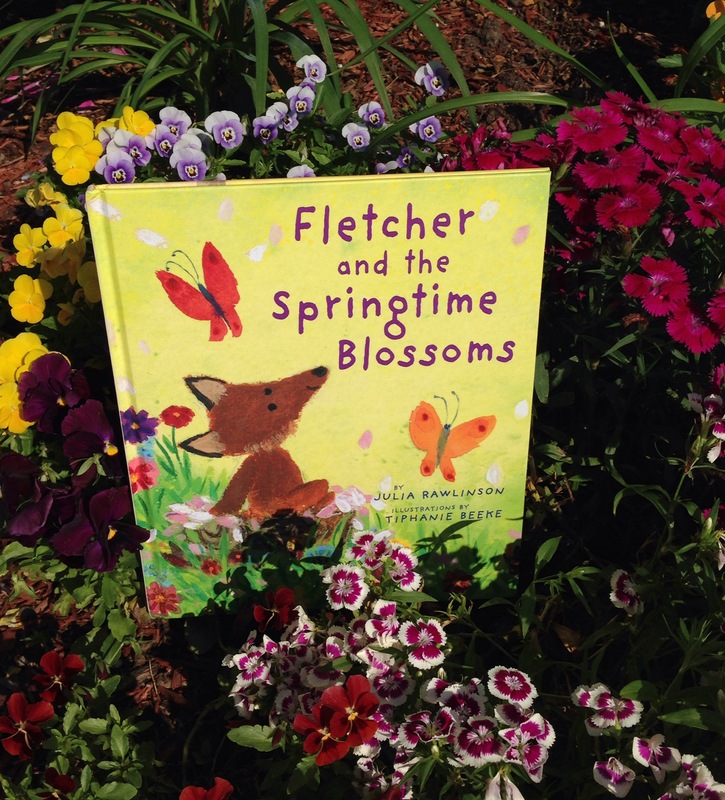 Rawlinson’s Fletcher Series is among our favorite in children’s books, so we selected her springtime book since it fits the season. Fletcher, the fun-loving, caring fox, is out in the sunny orchard enjoying the late spring months until . . . he sees an unusual sight, snow! Immediately he’s alarmed that it will get too cold for his friends, so he begins to warn them one-by-one of what he discovered in the orchard, beginning with a pair of birds he passes on the way up the hill. “‘You’ve flown to your summer home too soon,’ Fletcher cried. Yet, they could not resist delaying their work for just a bit to go and see the snow for themselves and play! “So the rabbits hoppity-roly-poly-plopped down the hill, through the woods” with all the friends following. Fletcher was right. The ground was covered in white, but not white snow,white BLOSSOMS! Try a few of these questions with your children or class. If you’re reading to a group, toss a ball or pass a bean bag and the one holding it gets to answer a question until all the children have had an opportunity to become friends with Fletcher. F- How do you feel when you see sights of spring? How do you feel when you see snow? How do you think you’d feel if you saw both spring and snow together? R- Can you relate to Fletcher’s excitement when he was trying to find his friends to tell them about something amazing he saw? If so, what did you see and who did you want to tell? I- Imagine if we only had one season, like winter all year. If you had to pick one season to last forever, which would you select and why? E- If you could explore the world from the perspective of a fox, bird, porcupine, squirrel or rabbit, which one would you like to be and why? N- Retell the story’s events chronologically by navigating Fletcher’s journey from the orchard, around the forest, then back again to the orchard. D- Develop a different conclusion to the story. Instead of white snow or white blossoms, what else could Fletcher and his friends discover in the orchard that is white like snow? S- Share the many examples of alliteration that Rawlings uses throughout the book. Share your favorite illustration by Beeke and why you like it. *Share this blog with your friends as we have many more friends to introduce: This fall, we will share our favorite Fletcher story with you, “Fletcher and the Falling Leaves”. Keep caring for the creation around us so we can keep enjoying nature! 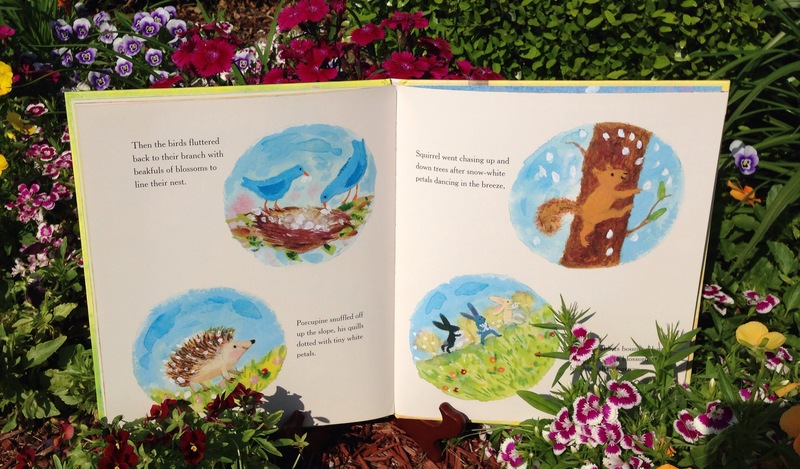 This entry was posted in Earth Day, snow, spring and tagged alliteration, children's books, Earth Day, Fletcher and the Springtime Blossoms, forest animals, fox, Julia Rawlinson, Spring Story, springtime, Tiphanie Beeke. Bookmark the permalink.